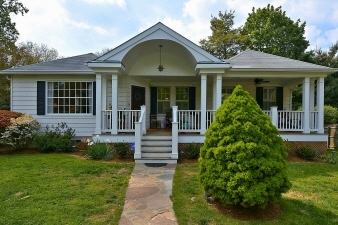 Picture perfect renovated bungalow with expansive front porch in Garrett Park! Amazing LR w/ dual side FP. Sep DR. Updated Corian Kit. Mudroom! 3.5 Renv. stylish baths! Total refinish LL w/ MBR suite! Incredible storage space. Pleasing architectural details (intricate trim / molding & millwork) + delightful nooks & crannies! Expansive front porch, brick patio, and priv. driveway. JUST CHARMING!